What has traditionally been the August meeting in Edinburgh is being relocated in 2015, on Friday the 14th of August, to Balmuto Castle in Fife. This is by invitation of Bruce Boswell and Andrew Swanston and the speaker will be David Buchanan, the authority on the history of the Boswell Papers. We must apologise to members who have already paid the £11 mentioned previously. We have now been told that the caterer has increased his quotation to £25 per head. We trust this will not deter members from attending. 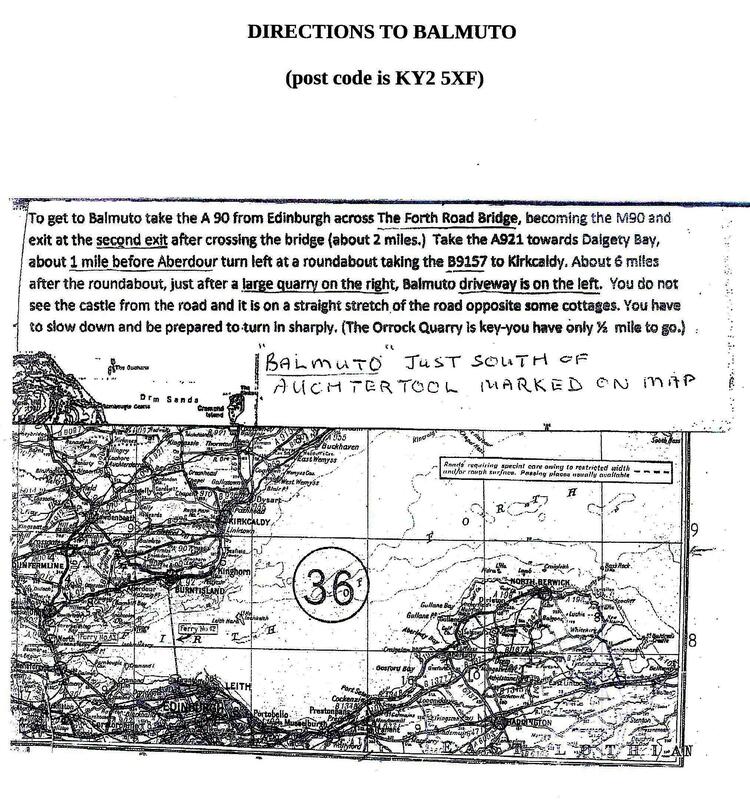 I/we would like to attend the lunch at Balmuto Castle and enclose a cheque for £25 per person made payable to ‘The Boswell Society’ (please see map below giving directions).